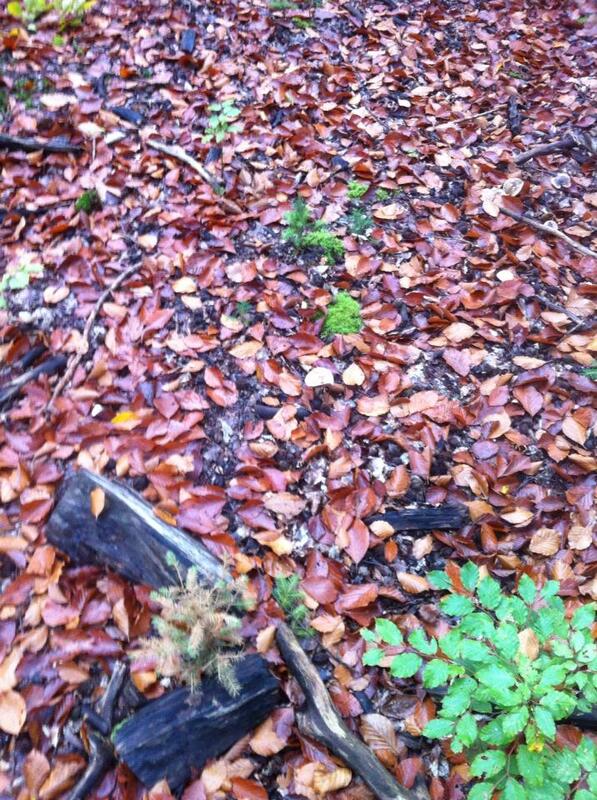 Look very carefully among the leaves in the picture above. Can you see the mushrooms? There are four. 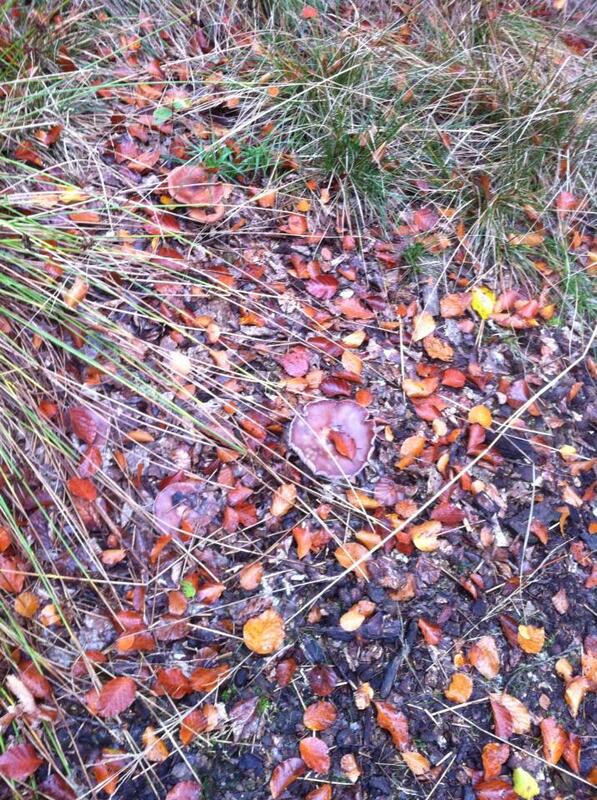 There are five mushrooms in this picture. 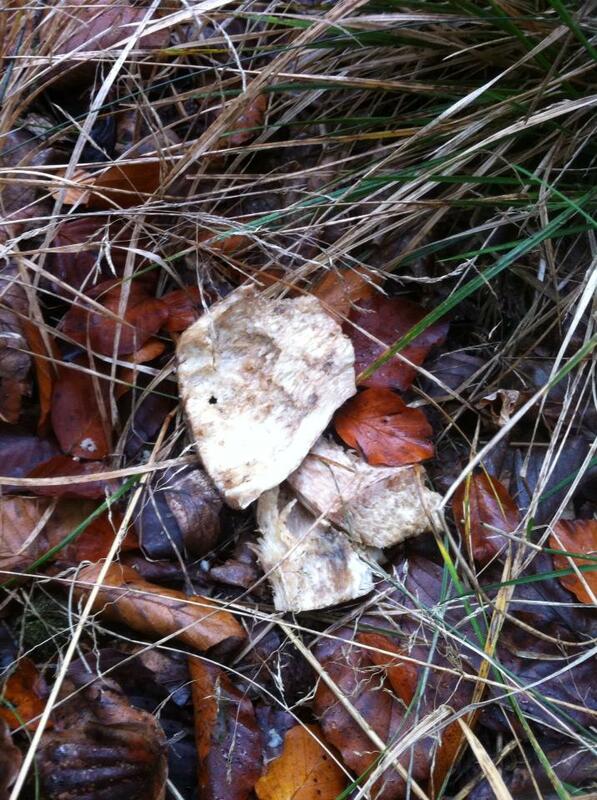 It just goes to show how difficult it is to spot an edible mushroom growing in the forest. 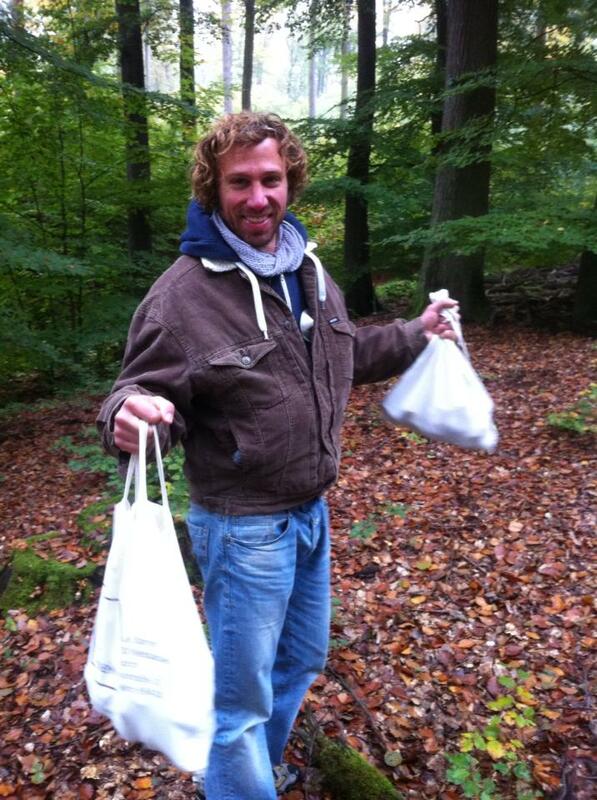 I went out foraging for porcini mushrooms with some friends in a forest in the Hessen region of Germany. 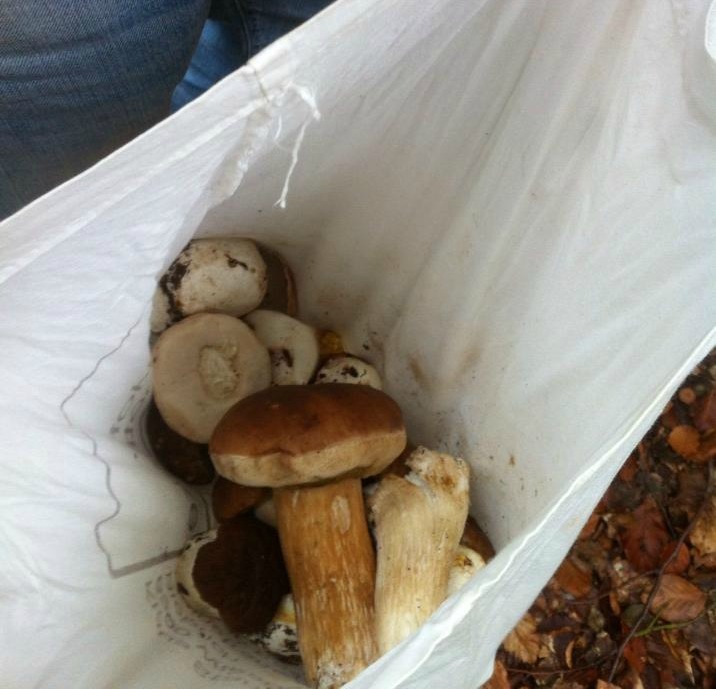 We found about 100 euros worth of mushrooms in two hours one Sunday morning. As far as our location goes, I can only tell you it was in Hessen because it would be a huge faux pas for me to reveal the exact location – I have been sworn to secrecy. 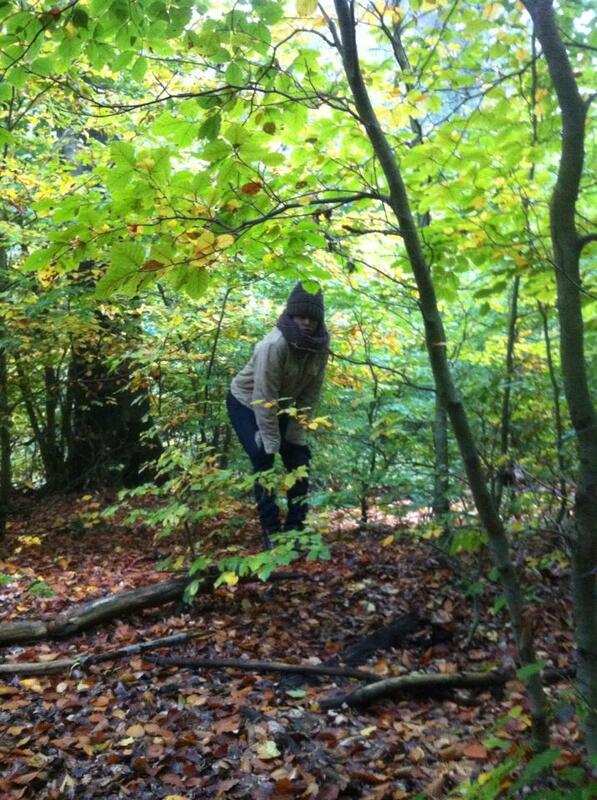 Good spots for collecting is information foragers keep close to their chests, in the same way a truffle-hunter would. Porcini mushrooms are a delicacy. They have this gorgeous nutty flavour that is awesome in risotto, soup and pasta dishes. They are not as expensive as truffles so finding them is not going to get you rich quick or anything – 1kg costs 48 euros – but it is going to get you a damn good meal. Late October is the best time of year to collect them because it’s late in the season and mushrooms develop slower and, as a result, have a deeper flavour. The problem is the forest floor is strewn with leaves, twigs and a plethora of other mushroom varieties, some of which can be poisonous, so finding porcnini mushrooms is a really difficult job. 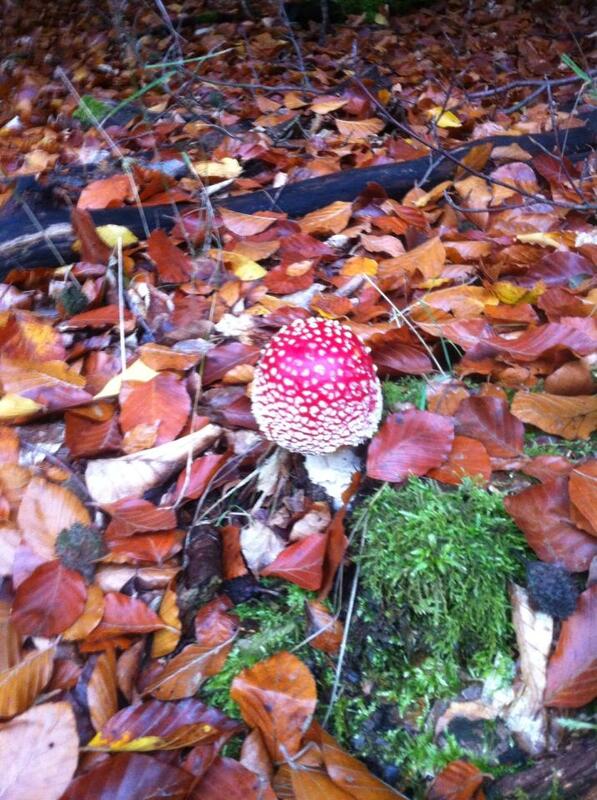 A really difficult job….Each 100 square metre secret patch yielded an average of one mushroom. It was like looking for a needle in a haystack. There’s me looking flummoxed. I had been out searching for an hour and a half and hadn’t found a thing. My friends on the otherhand had spotted about 30 between them. Why? They had ‘an eye for it’ and also they had the knowledge. The knowledge: What I learnt about finding porcini mushrooms. The most important thing: Anything with a white top or a skinny bottom is not worth focussing on. Porcini mushrooms have a light brown top with a fat, sometimes road stem. The Germans call them stone mushrooms and I would assume this is because they do look a bit like stones. Not all of them though. Some have really long stems than are great for breaded mushroom recipes. If you see one of these red mushrooms, porcini mushrooms are nearby. 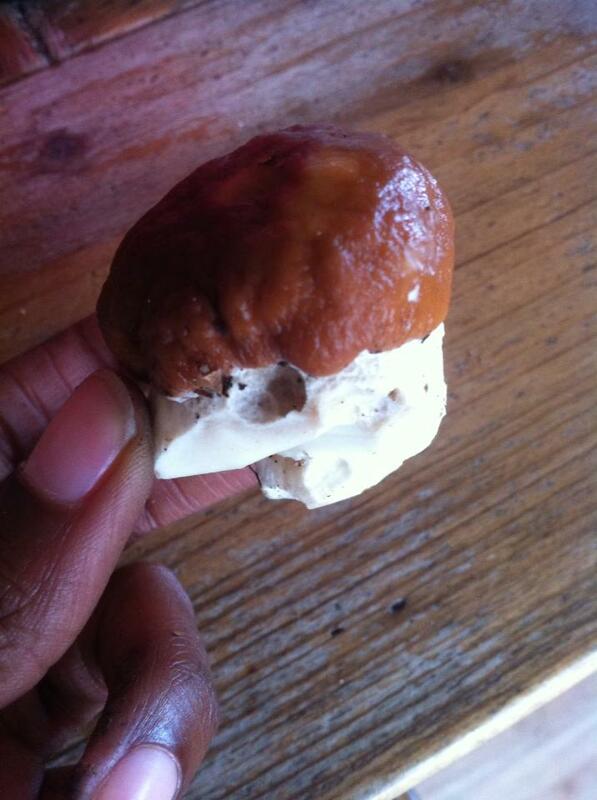 Also if you see a mushroom that looks like a porcini mushroom but has red tint on its stem, it should be avoided. Forest pigs also love porcini mushrooms so you have competition on your hands other than other foragers but if you see evidence of mushroom eating you know you may find some mushrooms that the pigs didn’t see. 3. You must be at one with nature. After a while I started to see patterns in the forest floor – types of bark that attract mushrooms, mushrooms that like open spaces, mushrooms that like big trees and mushrooms that hide under bushes. I had to ‘be the soil’ but in all honesty I got so obssessed with finding a mushroom I started feeling dizzy and seeing mushroom mirages. 4. You need a bit of luck. These buggers are so hard to find you need a bit of luck so whenever you find a small perfectly formed porcini mushroom, it’s good luck to kiss it on the head. I was super proud of myself when I found a tiny porcini mushroom on the forest floor. It was so small it was amazing that I even saw it and for this reason I was happy with it being my only contribution to the morning’s harvest. We harvested about 40 mushrooms that weighed a hefty 2kg once cleaned. This was an awesome morning’s work. Next: We take these babies home, clean them up and cook breaded mushrooms. Posted in Food, GermanyTagged autumn activity, budget travel activity, food travel, foraging, foraging for porcini mushrooms, forest activities, Germany, Hessen, stone mushrooms, what to do in October in GermanyBookmark the permalink. Very good, back to nature I say! Loi Krathong in Bangkok – avoid the crowds!